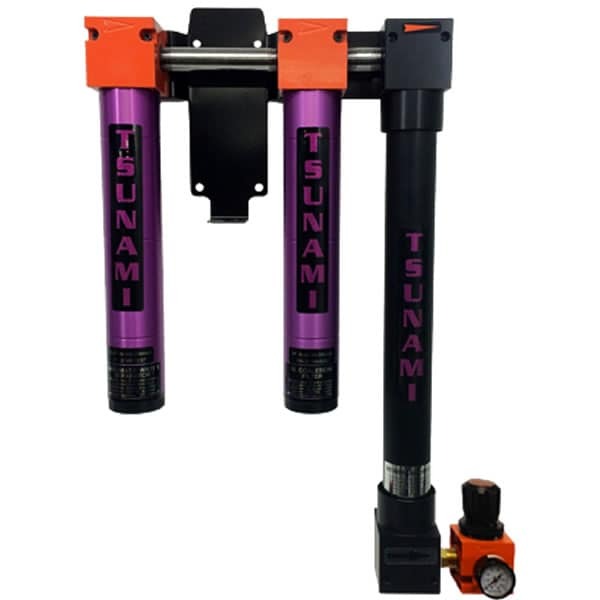 Desiccant dryers move compressed air through a container commonly referred to as a "tower." The container is filled with absorbent material referred to as "desiccant." They're available in two styles. The most common style is silica desiccant, but some are made using activated carbon. The main difference is that silica gel must be replaced once it's saturated and activated carbon can be regenerated. Refrigerated dryers use refrigeration similar to that of a home refrigerator to cool the air in order to condense the moisture and separate it from the compressed air. Once the moisture is condensed into water, it will collect in a separator until it is drained out. It's similar to a portable dehumidifier you would use in your home. 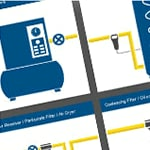 Using a 4-stage filtration system, these dryers first separate moisture and other contaminants from the compressed air. The next step involves the membrane, which through the process of osmosis, removes any remaining moisture vapor, resulting in clean air that is ultra-dry with a significantly reduced dew point and relative humidity that is in the single digits. 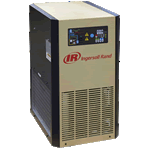 Air Dryer Buyer's Guide.. Our Power Equipment Direct how-to library can help you learn about How Air Compressors Work, Top-Rated and Best-Selling Quiet Air Compressors and Oil-Lubricated Vs Oil-Free Air Compressors.